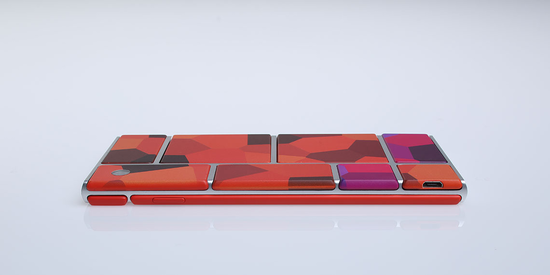 This week, Google held the first developer conference for Project Ara, their initiative to develop a truly modular smartphone. As with any potentially disruptive product, traditional analysts have been skeptical because of the trade-offs in size, weight and power consumption. The flaw with this line of thinking is that it focuses too heavily on high-end customers and today's smartphone users -- most critiques of disruption theory in consumer contexts suffer from the same flaw. In reality, a shift in the basis of competition and, consequently, business model innovation often takes root among non-consumers or low-end customers. The real challenge lies elsewhere. Commonly understood product attributes like product design, the app ecosystem and user experience aren't really valued by low-end consumers because they are already "good enough" for their needs. Instead, price and flexibility are valued more -- one user may not need a camera at all, while another (e.g. : a college student) may want a slightly better camera within the same broad price range. Today's products force these customers to pick between buckets of components at pre-defined prices. When we look at Project Ara from the lens of a low-end customer or smartphone non-consumer, it certainly seems to have potential. Google seems to realize this, as the low-end variant of Ara is scheduled to be priced at just $50. This device will include a frame, display, Android OS, low-end application processor, battery and Wi-Fi module. As manufacturers begin moving away from the feature phone market, products like this could hold appeal for low-end users. The real challenge here will be to fashion a go-to-market strategy. Since the product actively discourages replacement purchases, OEMs will have no interest in the category. For now, Google has been attempting to rope in third party developers to build modules, but this could also hold promise for component manufacturers. While modular hardware has the potential to destroy OEM margins, selling directly to consumers could actually boost margins for component vendors. This creates another problem -- neither third party hardware developers nor component vendors have the required distribution reach. Therefore, the success of Project Ara will depend on the creation of a "hardware appstore", with a distribution network that can deliver these physical modules. Creating this distribution network will be the real challenge for Google and Project Ara.